t’s a terrible feeling when your child wants you dead. Laura takes her troubled fifteen-year-old daughter, Cindy, on a ski trip to the Adirondacks for some mother and daughter bonding time. Maybe she can get through to her. Tyler isn’t just abusive. He’s a deranged sociopath whose ex-girlfriend has gone missing, and he has a cult-like hold on Cindy. Laura needs to keep Cindy away from him. But Cindy and Tyler have other plans, and Tyler is already waiting for them. He’s about to show Laura how dangerous he really is. Could Laura’s own daughter really want her dead, and how long can she survive being hunted in the frigid and snowy Adirondack mountains? This book is free from 01/10/2019 until 01/14/2019. 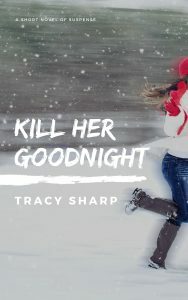 Tracy Sharp grew up in a small mining town in Northern Ontario, Canada, where there wasn't much to do except dress warmly and write stories to entertain herself. She is fond of thrilling novels, bellowing out her favorite songs in the car, iced coffee, flamethrowers and Slinkies. Washburn County Deputy Amber Monroe is following in the footsteps of her sister, Jade. She devours everything she can during her detective training in hopes of being promoted soon. Living in small-town USA has its advantages, like a sense of security, and disadvantages, like being close to Milwaukee and its crime. Washburn County has become the dumping ground of murder victims, courtesy of its neighboring county to the south. When two men are discovered on the outskirts of North Bend, each with a bullet to the head, Amber’s team, led by Lieutenant Jack Steele, hits the highway in search of a killer. Assisted by the Milwaukee PD, they go deep into Brew City’s underbelly, which reveals far more than anyone ever expected. Crimes involving murder and counterfeiting keep the team running in every direction, but it’s Amber’s attraction to a new man in North Bend that puts her front and center on the killer’s short list. She doesn’t get far before the entire case turns upside down. C.M. Sutter is a crime fiction writer who resides in Florida, although she is originally from California. She is a member of numerous writers’ organizations, including Fiction for All, Fiction Factor, and Writers etc. In addition to writing, she enjoys spending time with her friends and family. She is an art enthusiast and loves to create gourd birdhouses, pebble art, and handmade soaps. Hiking, bicycling, fishing, and traveling are a few of her favorite pastimes. What would you do if you suddenly found yourself alone, the only human remaining on an alien occupied planet. Could you cope? Would you survive? How would you deal with the loneliness, and the knowledge that you were the only human being within forty light years. When the small communities of Corros, a remote human colony world, come under attack from the Tolleani, an alien species with whom humanity is at war, Echo, a young woman finds herself the sole survivor. For three years she survives alone, wondering why nobody has come to rescue her. Then, the aliens return to set up a research base at the community which had once been her home. For another year, she hides alone in the nearby mountains, until the first human ship arrives, to be promptly captured by the aliens. When Ben, a member of the captured crew, escapes, he stumbles upon Echo’s hideaway. She needs his help to escape, but soon learns that he has an agenda of his own, and needs her help to achieve it. “Solitude’s End” is the first in the series “Echo’s Way”. Whilst part of a series, it is a complete, stand alone Novella, and not part of a large, continuing story. Whilst basically an action / adventure story with just a hint of romance, it is a science fiction story set on a distant colonial planet in the far distant future. Mike Waller is a writer of Science Fiction Action/Adventure stories. His books are mainly in the science fiction genre, but he has also written in other areas, including technical manuals. Mike has been many things in his life, from public servant to computer programmer to designer, and now writes for the pure enjoyment of it. After receiving a mysterious message from a dead nun, journalist Leah Nash reopens the investigation into her teenage sister’s death. As she starts closing in on the answers, someone starts closing in on her. Leah races down dangerous paths in this twisting tale of hidden motives and long buried secrets—until she finds the stunning truth. Murder happens in Houston, but when the most recent murders take on disturbing similarities, local law enforcement officers fear a serial killer is roaming their streets. Former sheriff’s department sergeant Jade Monroe has just graduated from the FBI’s serial crimes unit in homicide and is called to Houston with her partner, J.T. Harper, to take on her first assignment—apprehending the person responsible for these gruesome crimes. With victims piling up and the clock ticking, Jade and J.T. need to intensify their search because there’s no sign the killer is slowing down. After a late-night epiphany while she’s alone, Jade suddenly comes face to face with the killer, and now Jade is missing. The clock continues to tick—but this time it’s for her. C.M. Sutter is a crime fiction writer who resides in the Midwest, although she is originally from California. She is a member of numerous writers’ organizations including, Writers-Online, Fiction for All, Fiction Factor, and Writers etc. Other than writing crime thrillers, she enjoys spending time with her family and dog. She is an art enthusiast and loves to paint and make hand-made soap. Gardening, hiking, bicycling, and traveling are a few of her favorite pastimes. There’s something strange about Twizel. 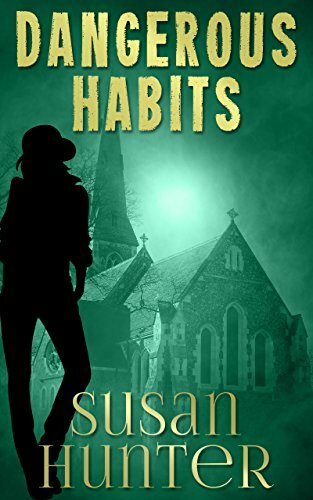 Maggie Blackmore didn’t come to this sleepy hollow for a mystery, but she sure as heck found one. Being an Aucklander in the South Island doesn’t help either. If they’re not calling her a JAFA (Just Another F**king Aucklander) then they’re telling her to slow down. Twizel Time is real and Maggie has to learn to roll with it. As if that’s not enough, then there’s the farmers. Got a thing for pony tails? Just what the hell Luke Drake is up to is anyone’s guess. But when the station manager of Red Tussock takes an interest in the new girl in town, there’s no stopping him. And Maggie’s not sure that she wants to. But rules are rules and murder complicates matters. Being the only cop in town who can investigate the growing number of crimes puts Maggie in an even deeper quagmire. And that’s not even considering the past that comes back to haunt her. This sleepy hollow has just woken up and Twizel doesn’t care if you were born here or born to live here. Sooner or later your secrets will come out. Sleepy little North Bend just woke up. The newly promoted Sergeant Jade Monroe, and her partner, Detective Jack Steele, have just been informed of an unidentified male body found at a local lake. The town is in an uproar. The victim was nearly decapitated, and murder simply doesn’t happen in North Bend. As more bodies turn up, the single connection between all of the victims becomes clear—it’s Jade, herself. With each new victim getting one step closer to Jade, time begins to tick away. She must find the person responsible before her loved ones, or herself, are targeted next. This book is free from 09/08/2016 until . C.M. Sutter was born in San Jose, California and split time between the sunny California coast and Milwaukee, Wisconsin. As a senior in high school, she chose Wisconsin as her permanent address. Years of progression took her from working in large companies, to twelve years as a massage therapist, and finally to owning a corporation. She has been self-employed for nearly twenty years. Ms. Sutter has been writing and self-publishing for two years with eleven titles published in a different genre. Because of her deep interest for crime and thriller novels, she has recently taken up writing in the police procedural/crime thriller genre. Her newest series focuses on the life of Sergeant Jade Monroe, a detective in a fictitious Wisconsin town. Jade has more crimes to solve and murderers to apprehend than most detectives, but she's a tough cop and gets the job done. Ms. Sutter is a world traveler which includes hot-air ballooning across Italy. Her sense of wanderlust fits in well with creating locations for her books. When her schedule permits, you'll find her on an airplane, likely writing and flying at the same time. She also enjoys visiting her daughter in Arizona and son in Florida. Hiking, bicycling, gardening and creating art is high on her list of activities. When time allows, painting and making hand-made soaps are two of her favorite pastimes. This book is bargain priced from 05/26/2015 until 05/30/2015 Check book price before you buy, as prices can change due to expiration of the sale or other technical issues. Moving to France is a bold step for Martha Burton, but she is an independent woman of considerable means and soon establishes herself in a beautiful Charentaise house in the village of St. Martin-le-Vieux. Looking for love? Of course she is. However, the idyll is about to be shattered. Claude Cousteau lives in harsher, more dangerous world. A world which will bring a terrible perspective to Martha’s hopes of personal happiness. This book is bargain priced from 05/01/2015 until 04/14/2015 Check book price before you buy, as prices can change due to expiration of the sale or other technical issues. When attorney Blake Cartwright abandons a successful career to turn a dilapidated lighthouse into an inn, everybody thinks she’s gone a little bit crazy. After witnessing a body fall from the tower, Blake wonders if they might be right. According to local legend, the spirit of a former keeper’s wife lures women to their deaths in the icy water below. Has Blake witnessed a suicide, seen a ghost–or is she just seeing things? Declan Hunter, the mysterious man she hires to help with renovations, doesn’t help matters. The man with the Navy SEAL physique claims to be nothing more than a local handyman, but Blake’s instincts warn her not to trust him. As the mystery deepens, she finds herself drawn into a dangerous labyrinth of secrets, lies, and murder. But the most serious danger of all may be falling for a man determined to leave her. This book is bargain priced from 03/28/2015 until 04/04/2015 Check book price before you buy, as prices can change due to expiration of the sale or other technical issues. Thalma Engstrom appears to lead a normal life as the caretaker for a farm owned by her own dummy corporation while secretly tending an underground complex of rooms growing exotic, illegal plants. Living alone within a labyrinth of secret identities, shell companies, and a network of businesses legal and illicit – making monthly use of the Silk Road 2.0 – Thalma’s only companion is her trustworthy Rottweiler, Socrates. But a chance meeting with a young man running from the law and an ill-fated attempt to collect on a debt rip apart her newfound normalcy and plunge her into a terrible struggle to save her new love and herself.